Landlocked Developing Countries (LLDCs) face many common challenges in relation to trade. Lacking territorial access to the sea and often contending with a difficult topography and harsh climate, LLDCs face high trade costs. The geographic challenges to trade are often heightened by poor infrastructure, inefficient logistics system and weak institutions, driving up transaction costs. Low product diversification, a greater concentration of commodity-based exports and complex procedural obstacles to trade add further layers of difficulty for LLDCs to integrate into the world trade system. Moreover, many LLDCs, especially in Africa, are also least developed countries (LDCs). ITC's priorities and strategic interventions are focused on the needs of the most disadvantaged developing countries. In 2012, ITC's support to LDCs, LLDCs, SIDS, and sub-Saharan Africa accounted for almost 60% of its total delivery. ITC supports LLDCs in addressing trade-related constraints by providing tailor-made solutions through the delivery of country-specific or regional programmes. 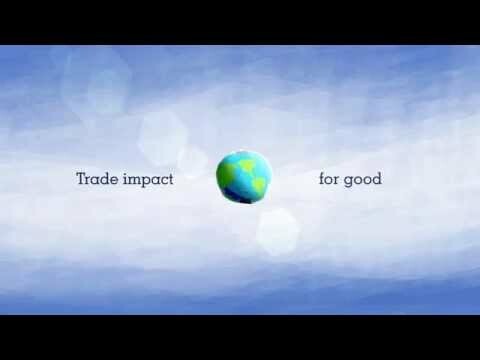 ITC's focus areas include but are not limited to supporting LLDCs' regional integration efforts, improving the availability and use of trade intelligence, enhancing trade support instructions and policies for the benefit of exporting enterprises and strengthening the export capacity of enterprises in LLDCs. A priority area for the ITC in the run-up to the Comprehensive Ten-Year Review Conference of the APoA has been the development of joint projects addressing both trade and productive capacities in the context of subregional and regional trade. The APoA was adopted at the International Ministerial Conference of Landlocked and Transit Developing countries in Almaty, Kazakhstan in 2003. Through its Programme for Building African Capacity for Trade (PACT II), ITC has strengthened regional integration and export competitiveness in three Regional Economic Communities: the Common Market for Eastern and Southern Africa (COMESA), the Economic Community of Central African States (ECCAS) and the Economic Community of West African States (ECOWAS). Some 30 African LDCS and LLDCs have benefited directly or indirectly from PACT interventions at the country and subregional level. ITC also supports LLDCs in their accession to the World Trade Organization (WTO) accession. Such accession has direct and tangible implications for the business community since WTO agreements shape the international and national trading environments in which enterprises operate. We complement the work of WTO and UNCTAD by enhancing the private sector's understanding of the business implications of accession and by strengthening partnerships between the public and private sectors to maximise the benefits of WTO membership. ITC is currently assisting the business communities of Laos and Tajikistan in understanding and responding to the business implications of accession. ITC believes that it is critically important that the post-2015 development agenda as well as the Sustainable Development Goals mandated by Rio+20 pay special attention to LLDCs. Anchoring the needs of LLDCs, particularly those related to trade development, in a post-2015 planning process will help focus the international community and help ensure a coordinated response. This must be coupled with strong national ownership and better collaboration amongst donors of Aid for Trade to ensure resources are used effectively and in the interests of LLDCs. The new development agenda for LLDCs should place the role of the private sector at the centre. It should take its focus from the specific challenges facing the private sector in LLDCs and mobilize its capacities for achieving sustainable economic development goals, with priority given particularly to addressing non-tariff barriers to trade, building productive capacities, growing trade in services, and building the resilience of the private sector to respond to new challenges.